12 feet long with a half-inch diameter. Comes with Quick Disconnect fitting. 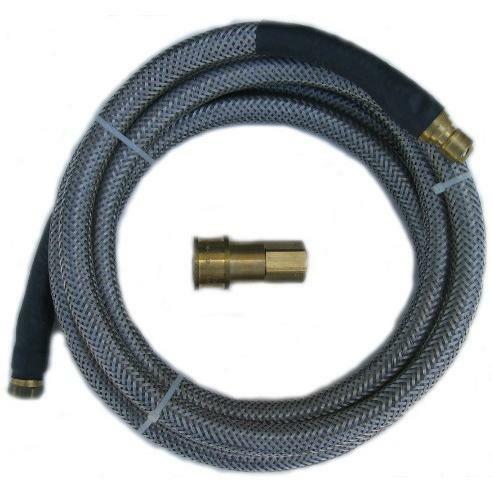 The Legacy Big Sur grill is a big investment, so you don't want to trust your natural gas connection to just any hose. This high capacity hose from PGS is perfectly suited to handle the larger volumes of natural gas required by the Big Sur. It features stainless steel braiding, so it is extra durable. It is 12 feet long, so it can reach a long way to access a natural gas line. It has a half-inch diameter, so there is maximum gas flow. And it comes with a quick disconnect fitting, so getting started is simple. Now, the Big Sur can go anywhere.